Singer/songwriter Terry made his way to Key West for a vacation in 1979 and never left. He helped form the Key Lime Pie Band, and the rest is history! 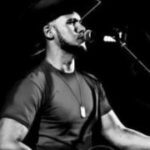 Bluegrass and country influences power Terry’s command of guitar and banjo, and he will perform with Gary Hempsey, also an accomplished songwriter, recording artist, and bandleader. 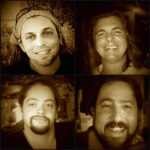 Recently voted Best Band in the Best of Marathon contest, the Stone Crabs are a perfect Saturday festival band. Ken Fairbrother, Mike Corvette, Luke Ptomey, and Tony Napoli join forces to combine into one cool groove! 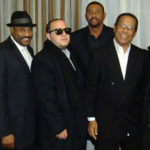 You’ll dance to their various influences of reggae, rock, folk, blues, hip-hop, and more! 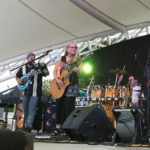 There are many bands in S Florida that claim to be Reggae bands, because of the popularity of the Jamaican music form, but the members of I-Land Vibe prefers to think of the group as a Caribbean band since reggae is not the only music from in the islands. Led by singer/songwriters John Bartus and Adrienne Z, and rounded out with drummer Glenn Faast, bassist Rob Garza, and guitarist Steven Miller, Jade Storm brings quite a variety of classic rock as well as John and Adrienne’s original songs from their CDs. Expect anything from quiet acoustic numbers to all-out rockers! Yes we got your salsa, merengue and hot movin' music here! 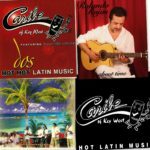 A must see, Rolando Rojas of Caribe is a local legend within the hispanic music industry! Get ready to baila! 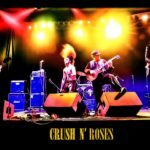 CRuSH - The Ultimate RUSH & Guns N' Roses Tribute bank performs at a high professional level. ROCK MUSIC driven with a heavy dose of guitar, energy, and entertainment that will leave you not wanting to go home! 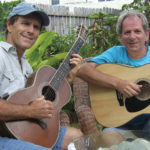 The duo perform acoustic rock from the 60's and beyond, while showcasing their harmonies with covers of favorites such as the Beatles, Eagles, and other, along with Tim Dee's original island-inspired tunes. 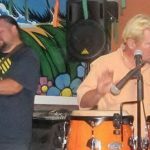 An all original tropical island band their music offers universal appeal with an easy going lilt and sway that celebrates the human spirit while being underscored by steel drums, guitars, marimba and subtle strings. Mile Marker 24 has grown in popularity to the most popular band in the Florida Keys to clearly a favorite nationwide. Singer/songwriter Maggie Baugh is a young, South Florida-based county music sensation! At 17 years old, she has a publishing deal, and is a Nashville Recording artist, guitarist, and dynamic fiddle player. Maggie Baugh has played fiddle onstage with Neal McCoy and got to play “Devil Went Down to Georgia” with the Charlie Daniels Band!